The Fund for Warren’s Future (FWF) today announced its first grant for a project to help revitalize Youngstown Road. The grant of $20,000 is being made to Trumbull Neighborhood Partnership (TNP) to support a project to promote investment opportunities and entrepreneurialism on Youngstown Road in the city of Warren. Thanks to federal and state grants obtained by city of Warren engineer Paul Makosky, the city is investing $4.1 million to rebuild the road, including a new road surface, new sidewalks, ADA ramps, and sewer drains between Laird Avenue and Ridge Road. The work began last fall and is expected to be completed in October 2018. TNP’s efforts are meant to lay a foundation for economic development that takes advantage of the city’s investment. The TNP project will include a complete survey of buildings on the target portion of 422 along with details relevant to potential investors. TNP will also survey residents living near the street, asking them what types of services they would patronize if they were available to them. Current business on Youngstown Road will also be invited to participate in a separate research project to identify additional steps that might restore the street to its former position as a major commerce corridor. The data from this research, as well as maps, and information on resources available to investors from local governments, will be compiled into a marketing book which will be distributed to entrepreneurs, developers and other potential investors, as identified by the research results. The marketing report is expected to be completed and distributed in November this year. 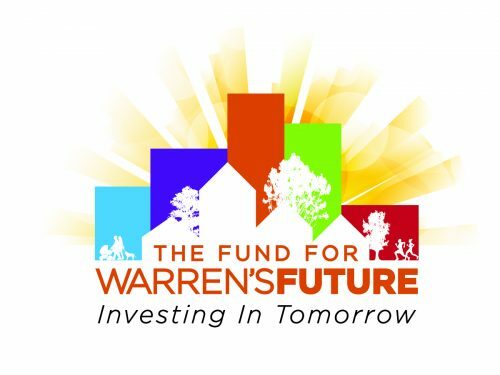 The Fund for Warren’s Future was created in November 2017. The initial capitalization of $100,000 was through a transfer of $50,000 made from the city of Warren’s economic development fund, which was endorsed by a unanimous resolution of Warren City Council. That contribution was matched by $50,000 donated jointly by AVI Foodsystems, whose President and CEO is Mr. Payiavlas, and by Mr. and Mrs. Sam Covelli. The fund is maintained by the Community Foundation of the Mahoning Valley. FWF’s mission is to support projects that lead to economic development in the city of Warren. Those interested in contributing to the fund, or in seeking a grant from it, should visit the Community Foundation of the Mahoning Valley web site: www.cfmv.org. Posted Wednesday, February 7th, 2018 under Uncategorized.